San Bernardino County residents have access to wider array of services to treat substance use disorders thanks to the Drug Medi-Cal Organized Delivery System (DMC-ODS), which began implementation in March. Known as the Medi-Cal 1115 waiver, the system is part of the California Medicaid expansion under the Affordable Care Act. Under the new system, San Bernardino County has increased funding for community-based providers to address the social, health and economic needs of individuals suffering from substance abuse disorders in the community as well as those returning to the community from jail to the community. The county’s contract with the California Department of Health Care Services extends through June 2020. 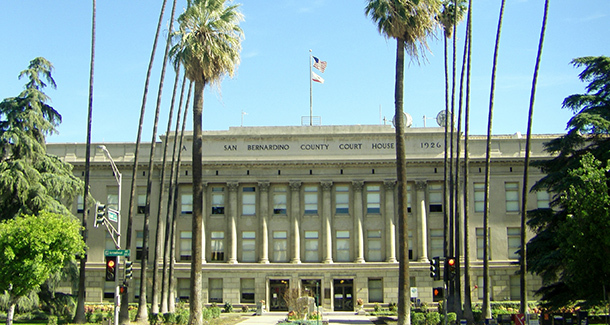 San Bernardino County has had a robust Medi-Cal system for decades. With that experience, county leaders have been working with the state’s Department of Healthcare Services for the past five years to create the standard terms and conditions of the waiver. The county is collaborating with local stakeholders through the Substance Abuse Provider Network (SAPN), a network of providers that service customers in the areas of substance disorder treatment, prevention and intervention. SAPN works with the country around issues of substance use disorder, serve as a conduit for information, provide a channel where members can coordinate and collaborate services and disseminate information about prevention, substance use disorder treatment and access to services. The county and SAPN meet quarterly. The new system allows the county to expand its residential treatment to more populations. Previously Medi-Cal only allowed those services to women who were pregnant or parenting. Under the new system, residential treatment could be open to the entire county’s behavioral health system of care. Before the new implementation, San Bernardino County’s Behavioral Health Department has been proactive in working with individuals with mental health needs involved with the criminal justice system. Last year, it created the Corrections to a Safer Community (CTASC), which aims to reduce the recidivism rate for individuals with serious mental health needs in the county’s jails. A jail study conducted by CA Fwd’s Justice System Change Initiative found that persons with mental health needs are booked twice as often and stay three times longer than the general population. The Behavioral Health Department is tracking data coming from the implementation, which it will share quarterly. The data will also allow the county to adjust programs to make it more efficient.